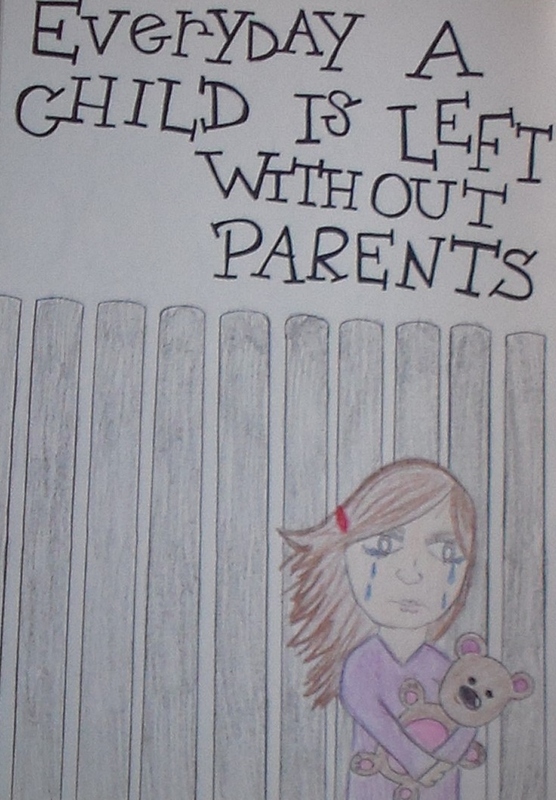 Description: This drawing shows a little girl standing in front of the border holding her teddy bear, crying, because her parents were deported. Everyday this continues to happen. Artist Bio: Angy is a Colombian-born New York-raised undocumented immigrant. She came at the age of three with her mother. She became involved with the NYSYLC in 2009 and came out of the shadows a year later. In October 2010 she started the country’s first undocumented youth advice column called Ask Angy. Her favorite color is yellow, she loves animals and chocolate!